Distributor, Mouser Electronics, stocks the SFH 4718A infra red LED (IRED), part of the IR Oslon Black family from OSRAM Opto Semiconductors. The small IRED is the first in the family to feature a narrow beam angle of ±25 degrees, enabling illumination units for camera systems with a medium capture range without requiring secondary optics, says Mouser. With the addition of the Osram SFH 4718A IRED means that the Oslon Black portfolio now comprises three wavelengths (810, 850 and 940nm) and three beam angles (±25, ±45 and ±75 degrees), with optical outputs ranging from 0.3 to 2.0W. The SFH 4718A offers an optical output of 0.8W at 1.0A, and a radiant intensity of 730W/sr. The SFH 4718A IRED’s 850nm wavelength is barely discernible by the human eye, but lies within the sensitivity range of the camera sensors. 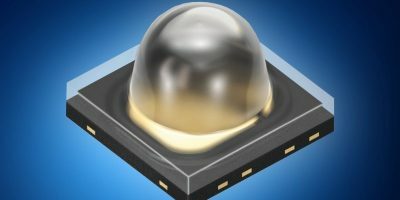 Osram Oslon Black SFH 4718A IREDs come in a small 3.75 x 3.75mm package with a low thermal resistance of 16k/W (max) and electrostatic discharge (ESD) protection to 2.0kV. The LED can be used in a range of security and recognition applications, including 3D image capture and facial-scan access control. Engineers can also use the IREDs in systems to illuminate areas monitored by closed-circuit television (CCTV) systems, as well as for automatic licence plate recognition systems. 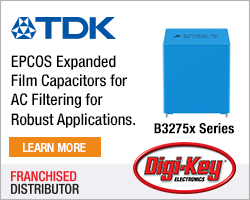 Mouser claims to stock the world’s widest selection of the latest semiconductors and electronic components for the newest design projects. 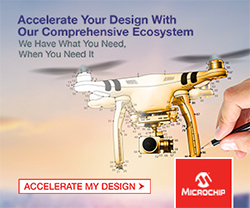 The Mouser Electronics website is continually updated and houses data sheets, supplier-specific reference designs, application notes, technical design information, and engineering tools. Mouser.com, is available in multiple languages and currencies and features more than five million products from over 700 manufacturers. Osram Opto Semiconductors manufactures optoelectronic semiconductors for the lighting, sensor, and visualisation market sectors. 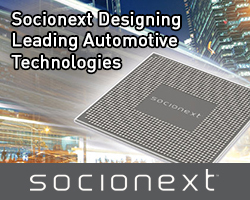 The company’s product portfolio includes a selection of high-brightness high-power LEDs and other semiconductor technologies used in a variety of lighting applications.